In part, Seesar accomplishes this realization of darkness by performing on percussion from around the world using traditional and extended techniques, turning household items into musical instruments, and building new noise-making devices to generate unique sounds. Seesar is typically a solo project by percussionist and Ethnomusicologist Dr. Will Connor, but occasionally extends to invite like-minded guest musicians. 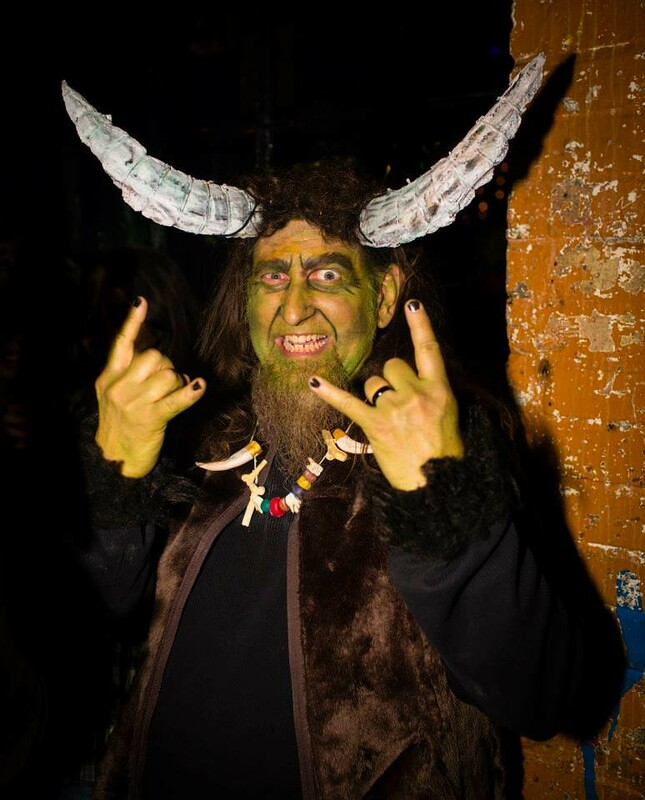 Currently, Seesar has released three full-length CDs, appeared on several compilations of dark ambient music, and is participating in a multi-artist collaboration project with other Lovecraft-inspired Futurist music and multimedia artists under the name New Leaders of the Eldritch Cult, including sound design for Gothic drama company Dread Falls Theatre, and academic research related to Lovecraftian Futurism. Seesar is the solo project of Will Connor, that was formed in 2007 in Honolulu, Hawai’i and continued in London, UK, and now Portland, Oregon. The project creates Lovecraft-inspired dark ambient works drawing heavily from the aesthetics of Italian Futurism to construct the music, using primarily percussion, homemade instruments, and household items re-purposed to be sonic devices. 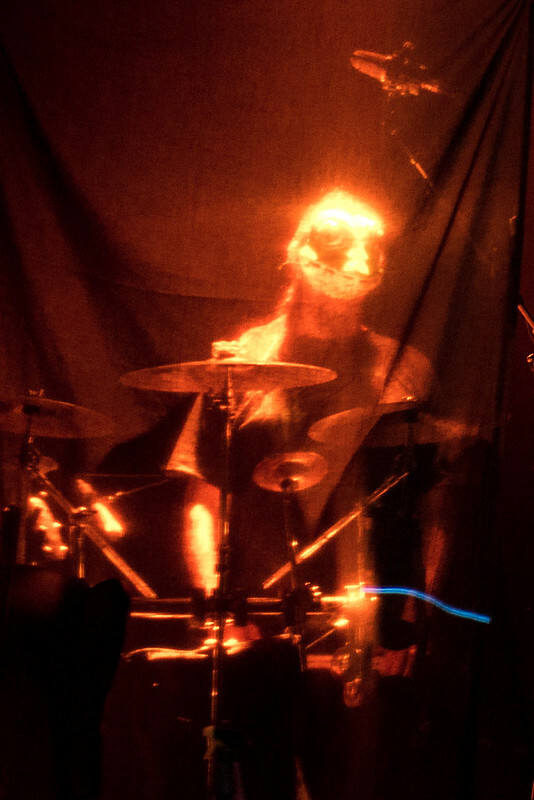 Seesar has made hundreds of live appearances in the UK and Europe, released three full-length CDs, made numerous contributions to dark ambient collections as a solo artist and collaborator, and is currently working on a four album and expanding the live show to include two more musicians, a stage designer, and five movement and puppet performers for a tour in 2018. The conglomerate was formed by Will Connor in 2015 in response to encountering a large number of other artists working within the Lovecraftian Futurist art movement, in particular composer and ritual music performer Akoustik Timbre Frekuency, film maker Malik Madguten, and immersive performance company Dread Falls Theatre. The conglomerate was formed to develop and promote this important new direction of art that draws from two important staples of modern expression. New Leaders of the Eldritch Cult currently is comprised of 30 members, representing 10 countries. The projects first effort was a CD collecting music collaborations from seven of the members, entitled The Art of Eldritch Noise. Future projects include collaborations between visual artists and sound designers, a book of fiction and non-fiction related to the movement, a series of podcasts dramatizing members’ stories with music from the NLotEC composers, and more album releases, including a collection of simulated Lovecraftian rituals, a tribute to non-English Mythos writers, and a collection of all-female member collaborations. Founded in 2011 by Victoria Snaith, Dread Falls Theatre is a touring theatre company, inspired by folk lore,fairy tales, and Gothic literature, Dread Falls Theatre immerses audiences in a tangible world which is comfortable and familiar, yet simultaneously distant and different from their own that they are forced to abandon traditional theatre spectatorship. The way in which Dread Falls Theatre presents this non-traditional theatrical experience is through exploring the dialectic interactions between space, movement, and sound. Connor has provided composition, performance, and sound design for the most of the companies presentations and productions. Will Connor is a London, UK and Portland, OR based percussionist devoted to experimenting and composing using unconventional instruments and techniques. Rethinking how to generate percussive and acoustic sounds with a goal of reversing the aural expectations of the instruments, attempting to create electronic sounds with acoustic devices, et cetera, Connor plays drones and sustained tones along with truncated, abrupt sounds. He freely draws upon Italian Futurism and Dadaist sensibilities to create textural soundscapes and industrial sonic explorations, performing on household objects and homemade devices, including pot lids, grill hoods, sheet metal, springs, shelf brackets, and bicycles, as well as traditional and ethnic percussion. Connor primarily performs dark ambient composed and improvised material, but also works in Gothic, jazz, rock, traditional-fusion, and modern classical contexts. Connor often integrates his textural approach to performing with electronics, strings, and other metallic instruments in a wide range of musical settings, for example Connor’s work with Jo Quail (Gothic cellist), WARY (noise electronics, woodwinds, and percussion), Shugoran (dark ambient industrial soundscapes), P. A. S. (NYC-based experimental noisescape band), Second Head (Gothic Neofolk Grunge Rock), and artists such as Steve Beresford, Damo Suzuki, Philippe Petit (French avant garde DJ), Sandeep Mishra (Indian classical sarangi master), Laetecia Statier (Stereolab/Monade), z’ev, John Butcher, Sonic Pleasures, Cementimental, John Russell, the Panjara Trio (Iranian traditional music), and Farouk El Safi and Ali Kadir (Egyptian percussionists), and most recently PerKelt (Celtic Medieval Speed Folk). Since starting to play percussion in 1978, Connor has played with projects such as The Pigeon Frequency Orchestra (Improv), one3four (Math-Punk and Improv), BAAMPHF!!! (Math-Punk), the Centre for Transgressive Behaviours (Absurdist Theatre and Improv), the Hawai`i Kakula Ensemble (Sulawesi percussion group), and Fukadugalon (Improv),as well as playing Chinese opera and Tibetan folk music, working with Butoh and contact improv dancers, and performing new compositions by upcoming young composers. Connor holds degrees in acoustics, music, and ethnomusicology and completed his Ph.D. at Royal Holloway, University of London in 2012. Connor’s academic musical research and performance projects are all part of his larger goal to invent new ways of approaching percussion and assists him on his quest: He hopes to generate and incorporate exciting, cutting edge instrumentation and combine them with performance techniques that result in a continuous and exciting musical adventure that he shares with his listeners through live presentations and recorded media. Furthermore, Connor seeks to provide a creative outlet for his deep appreciation of Gothic literature, specifically his greatest literary influence H. P. Lovecraft. 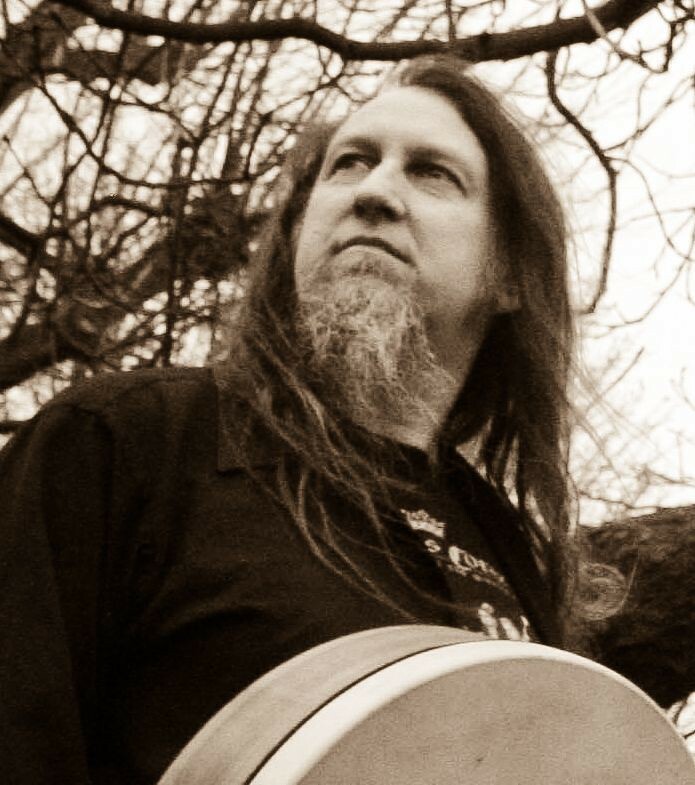 As part of this exploration, Connor released his first full length solo album in 2014 followed by three more to date, as well as at least one release by each of the other full time projects in which he was or still is involved during recent years (PerKelt, Tamerlan, and another Lovecraft-related set of material as collaborations with members of the New Leaders of the Eldritch Cult). In addition to continue publishing academic music research papers and new recording endeavors with Seesar and other projects, Connor expects to return to touring early 2018. 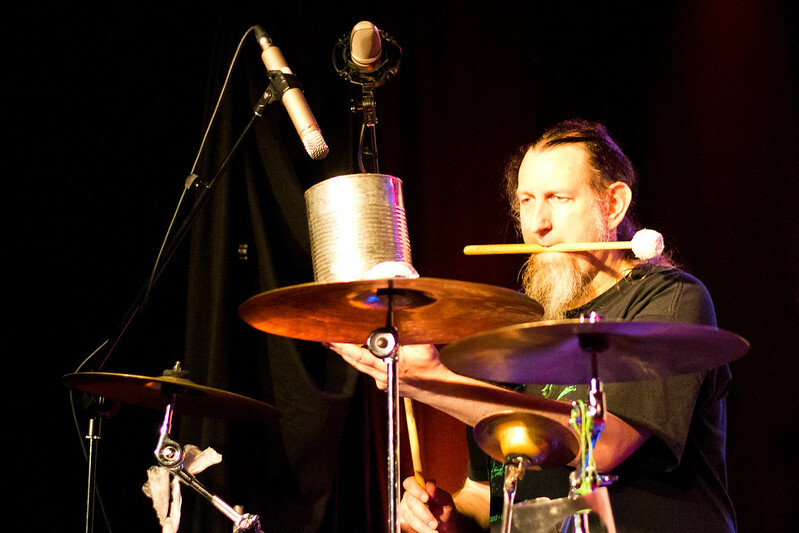 – Joined his first band as a drummer following a current drummer leaving his band Box Gradhu in 1982, forcing him to switch from guitar to trap set – a switch that has lasted 35 years! – Connor recorded his first CD with a punk band called Sleestaks who took their name from the children’s Satuday morning television show, Land of the Lost (and the Larry Niven books upon which the show was based), with engineer Kramer at Shimmy Disc Studios, NYC, in 1984. – Connor was the drummer for math punk band one3four, based in the Carolinas for almost ten years, opening for Jesus Lizard, Fugazi, and a range of other cutting edge bands of the day. – Connor ventured into working with performance art groups between the late 1980s and mid 1990s, playing with groups such as Wusspig, The Centre for Transgressive Behaviors, and several butoh troupes as a guest percussionist. – After having met Genesis P-Oridge, Sun Ra, and Anthony Braxton at several concerts during the late 1980s, who discussed with him the potential of musical instrument construction and various world music instruments as a means to create new and exciting music and sounds, Connor decided to return to University and study Ethnomusicology. – Connor’s last band before Master’s work was another math punk band, called BAAAMPHF!! !, who played instrumental, high energy music with two drummers. – Connor moved to Honolulu to start his Master’s work at University of Hawai‘i in 2003, and conducted much of his research in China (Tibet) studying Tibetan folk instruments, and played percussion in several Asian and Pacific Rim ensembles, as well as composed several works for Western classical instruments. – Connor started Ph.D. work in Ethnomusicology at Royal Holloway University of London in 2007, studying Medieval instruments being played in Gothic rock and metal bands. He graduated on Halloween of 2012 with his fourth degree. – Touring with improv acts, Goth bands, and most recently, Neo-Medievalist PerKelt, Connor traveled to several countries in Europe making a living as a full-time musician prior to and after obtaining his Ph.D.
– In 2014-2015, Connor conducted an extended research project on the Czech traditional percussion instrument, the vozembouch, as well as performed and recorded music while living in the Czech Republic. – Connor recorded three of his latest CDs in a small studio in Paris before returning to the States, where he is now focusing exclusively on his Lovecraft-influenced Futurist works. – Connor lives, works, and plays in Portland, Oregon, US. Sante Sangre magazine in a review of Seesar’s first CD Flight of Raphtontis says, “Connor entitles himself as an Enthomusicologist and part of the sounds (the drums actually) come from his research during his Master’s and Ph.D. studies. Seemingly, on Elder Things Below Kharkhov Station he blended field recordings from that area with deconstructed sounds in order to evoke an imaginary underground area inhabited by dormant creatures. Light Tubular noises develop like sparling drops on a lava fluid texture. The percussion elements vibrate the are and awake the Flight of Raphtontis. This reptile bird bears the soul ever and ever deeper through the world beneath, along dim vague spaces. The musical trip engages into losses of consciousness and sudden awakening to unnatural visions.